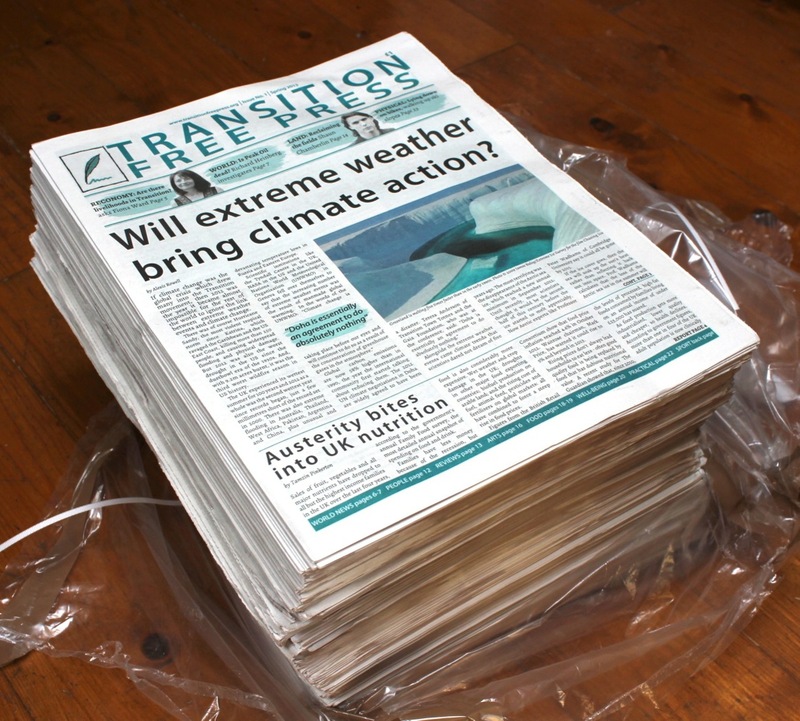 Transition Walthamstow & Transition Leytonstone are taking part in an exciting new national media experiment – the creation of a new quarterly newspaper about environmental and economic issues. The first issue has just been delivered to Walthamstow, and costs just £1 for 24 pages packed with thought provoking and inspirational articles; it will be available at Transition Walthamstow events, and from the Hornbeam Cafe. The Transition Towns movement was founded in the UK in 2006 as a response to climate change and the end of cheap energy. It’s a grassroots movement with over a thousand affiliated groups all over the world. Since its inception 15 months ago, Transition Walthamstow has run 3 draughtbusting workshops, created a local sourcing and repairs directory, and coordinated a hugely successful Apple Day attracting 1,200 visitors; its newest project is the establishment of a wholefood buying coop. Transition Walthamstow are one of more than 40 Transition initiatives around Britain which will be distributing the first issue of Transition Free Press. The 24-page quarterly newspaper will contain a mix of news, reviews, features and cartoons, and will have pages dedicated to energy, land, people, economy, food, well-being, arts and education.